Motorola has just unveiled four new phones in its popular Moto G series: these are the star Moto G7, the battery-centric Moto G7 Power, the super affordable G7 Play, and the most powerful G7 Plus model. With so many new phones, each of them with a different set of features, we thought we'd take a moment and take a closer look at the actual prices and where each model is coming to. First, we ought to mention that all these new phones are running Android 9 Pie, all feature a USB-C port for charging, as well as a 3.5mm headphone jack, plus all will support then new gesture navigation that comes with Pie. 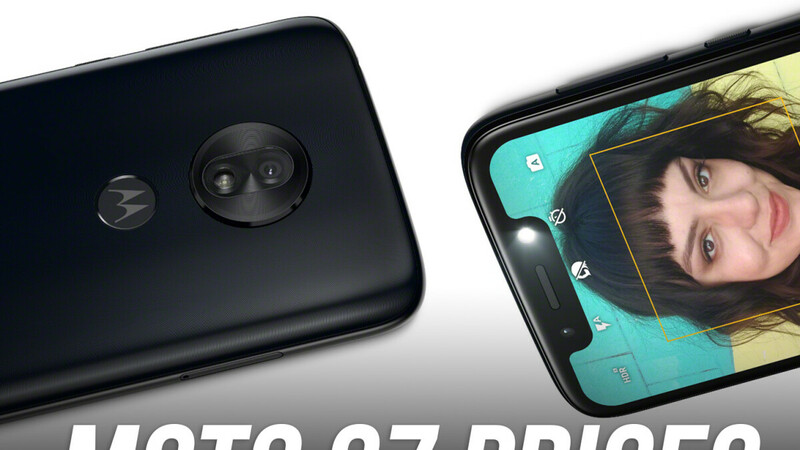 The Moto G7, G7 Play and G7 Power are the ones that will make their way to the United States, while the most powerful G7 Plus model will not be available in the US and will instead be sold in Europe and the rest of the world. The three models that are coming to the United States will arrive in the spring, slightly later than their launch across the globe. They will first launch unlocked on Best Buy, Amazon, B&H Photo and Walmart, and later on they will launch with carriers. Interestingly, the Moto G7 Power will be the only model that will come to some of the major US carriers. The phone equipped with a 5,000mAh battery is landing on T-Mobile, Metro by T-Mobile, Verizon Wireless and Cricket Wireless. Republic Wireless and Ting will get all three models, and the rest of the smaller carriers will have one of two of the models. So... are you planning on buying one of these affordable new phones for yourself or your loved ones? And which one do you like best? Omfg, again? Last time the freaking G6 Plus didn't get released in the US. Now they pull the same stunt with the G7 Plus? This is ridiculous and unacceptable for OEMs to limit devices in the US. Nokia is notorious for this and it's not fair to consumers. At least this time Motorola is including a gyroscope in all their models, this time around. The G power will be good for long flights. $300 for a SD632? That's nuts. GS8 can be had for just $100 more. Yup. And the article of the "Brand-new LG V30+ with 1-year warranty hits crazy low $350..." is showing right next to this comment section for me, lol. What carrier in the US is named ‘Spring’?